Frequently Asked Questions about a new irrigation system. We use all components that are of professional grade and engineered, manufactured, and tested to give years of trouble-free service. We standby our products for two years and our workmanship for one year. Lawn sprinkler systems, as most are connected to your city water supply, must meet local codes regarding backflow devices. These devices prevent water from being siphoned back into the water supply. The type of devices and the necessary building permits, licenses, and certifications required for contractors vary from city to city. 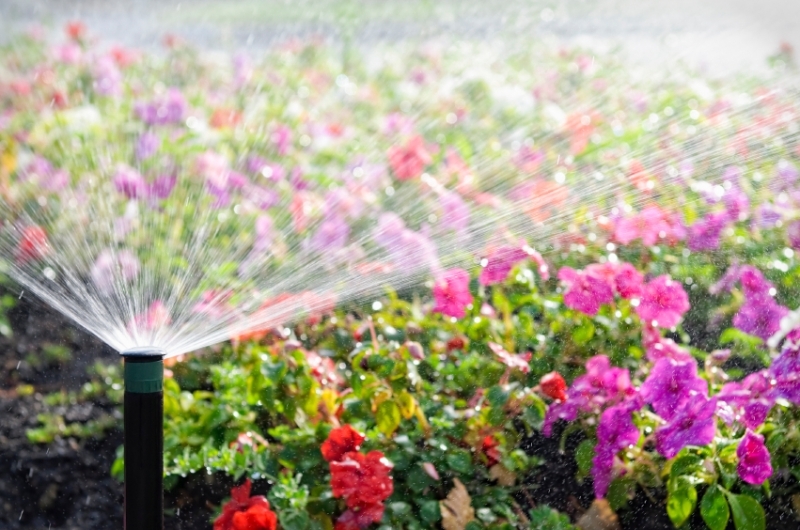 Currently, Massachusetts does not require irrigation contractors to be licensed. However, the local (IANE) and the national (IA) trade associations have established proficiency certifications. Landscaping by J. Michael believes in certifications for its team and the promotion of higher standards for the industry. We also recommend you request to see both, a general liability and worker’s compensation certificate from your contractor. These certificates are mailed directly to you from your contractor’s insurance agent. This will ensure that you are protected, should someone get hurt while on your property or if damages occur before or after the job is done. It’s a good idea to check it frequently during the peak watering season to make sure that everything is functioning correctly and that water is being applied as needed to the plant material and lawn areas. It is very easy to add a remote device to be used as you walk around your property. We do offer this service of inspection during the summer months, if you choose. As part of our Gold Service Plan, we offer two mid-season service checks to ensure your system is working and performing at its optimum. Turn on each zone and observe the operation to make sure the spray from each sprinkler is going where it’s needed. Make sure all rotary sprinklers are rotating in their intended arc. Look for any wet or dry spots and see if there is an obvious reason why it is occurring. Also, be aware that sometimes the controller may need to be adjusted if temperatures are extremely hot or cold, or if there was recent precipitation.